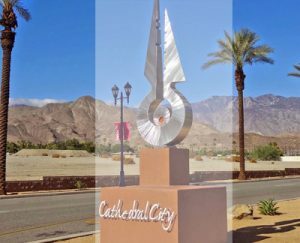 As the Coachella Valley as a whole has grown, Cathedral City’s central location has proven to be a decisive advantage. Adjacent to PSP, the region’s international airport, Cathedral City is within easy reach of neighbors, Palm Springs and Rancho Mirage, and is accessible to the rest of the Valley. In a desert region best known for resorts, recreation and seasonal visitors, Cathedral City stands out for its more down-to-earth, everyday, and year-round appeal. It is the quintessential New American City, a place where citizens, like the City itself, possess a keen inner drive to be more, do more, and go further. Cathedral City is the place to go to get things done. It’s a place where people live real.